The world of football management can be as unforgiving as it can be rewarding thanks to a potent cocktail of contractual obligations, trigger-happy owners, and fan and media scrutiny. The constant threat of the axe makes working with complete freedom a pipe dream for most bosses. It’s a feeling that comes with the territory. But while many managers go globetrotting for the next lucrative offer, one mister from Massa-Carrara, Tuscany, refuses to let himself be handcuffed by contracts and restrictions. It has been 70 years since Tuscan club Carrarese last dined at the Serie B table. And their Stadio dei Marmi home, surrounded by a scenic mountainous backdrop, has never hosted a Serie B game, as the venue was only inaugurated in 1955, while the Apuani were residing in Serie D.
For Silvio Baldini, currently in his second stint at Carrarese, a return to his home region’s club meant another chance to accomplish what he and others including Marco Baroni and World-Cup winning mastermind Marcello Lippi failed to do: help the club climb the Calcio pyramid. Baldini’s latest tenure, however, is different than the last. One that is decided on his own terms. A well-travelled coach, Baldini has occupied the driver’s seat of 14 clubs in 34 years. From building his name on the amateur scene to ascending to the peak of Italian football in Serie A, the UEFA Pro license holder’s undying passion cannot be understated. Speaking of the tactician in an interview with Mondo Futbol, Daniele Adani, his former assistant at Vicenza and current Sky Sport analyst, considered Baldini one of the most important, underestimated and controversial coaches in football. According to Adani, Baldini is a man with strong fundamental values, an innovator and a reference point in today’s calcio. The opening chapter of his coaching journey was written in the mid-1980s when he spent four seasons with Bagnone in the Seconda Categoria (eighth tier of Italian football). Aged 26 and playing for the club at the time, he was promoted to the bench by the President, a move that would prove fruitful in his development. As performances on the pitch improved, Baldini knew he had found his calling and embarked on a tour of Tuscany, first stop being an assistant’s role at Massese. His first taste of success as a head coach came in the 1990/1991 season with Forte dei Marmi. 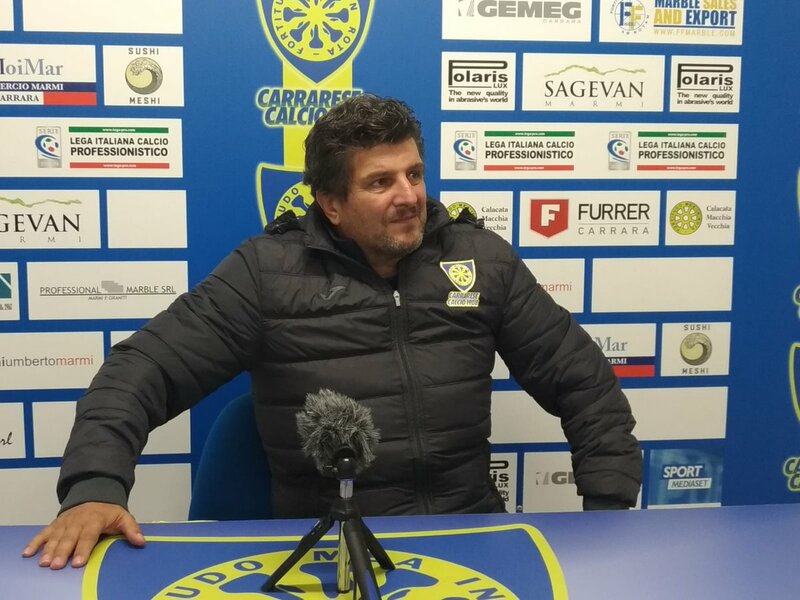 Having transformed them from a mid-table side to a championship contender in a year, he guided them to a second-place finish and automatic promotion to Eccellenza. The following season, Baldini then took a significant step forward, taking the head coaching role at Viareggio in Serie C. Although he failed to win promotion with the Zebre, he was able to celebrate the off-field achievement of earning his coaching license. After his short stay at Viareggio, Baldini added Siena, a return to Massese and Carrarese to his CV. Each of them were temporary visits rather than long-term residencies. They taught me everything. How to behave, serenity at work, education, respect. I have always done what they’ve told me to do and I have always felt good about it. By 1997, positive results had paved the way for Baldini to take the reins at Chievo, then hovering around mid-table in Serie B. A respectable 10th place finish concluded his time with the Flying Donkeys before he packed his bags and headed for Brescia. There, the pattern of mid-table security continued, falling short of the Tuscan coach’s ambition to reach Serie A. The breakthrough that would transform his career came in December 1999 when he replaced 44-year-old Elio Gustinetti at Serie B side Empoli. He inherited a squad loaded with creative and attacking players such as Mark Bresciano, Marco Marchionni, Massimiliano Cappellini and young starlet Antonio Di Natale. It is never easy attempting to implement a new methodology halfway into a season, yet Baldini persisted. Empoli lingered in the relegation zone for the first two months of his tenure, but finished the season in ninth place thanks to a 10-game unbeaten run from March to May. I had many good players, all strikers and every time, I was forced to penalize some of them because I could not make them all play. One day when discussing it with Massimiliano Cappellini, we tried to study a solution to make them coexist on the field. We experimented with different solutions until finally convincing Marchionni and Di Natale, and later Rocchi, to play as wingers but to also drop back into the midfield to help the team out of possession. This solution galvanized the environment and lead to great success. Baldini’s 4-2-3-1 became his masterpiece. It was an effective yet adaptable model that provided defensive stability, compressed space and an intensive press, all whilst maintaining an attacking threat and numerical superiority in the final third. For Baldini, it was the ideal solution to disrupt and pile pressure on Empoli’s opponents, build-up play in possession and create successful 1-vs-1 duels for the wingers against opposing fullbacks. Captain Fluvio Giamperetti and Vincenzo Grella were deployed as defensive midfielders, tasked with breaking up play, but also initiating attacks. Marco Marchionni, a natural centre-midfielder, was converted into a winger and produced the second biggest output of his career with five goals. The biggest revelation, however, was the explosion on to the scene of 24-year old Antonio Di Natale. The diminutive Italian missed out on double-figures in Baldini’s first season at the club, but his 16 goals as a winger in the 2001/02 campaign made him Empoli’s top marksman and catapulted Empoli straight into Serie A. In his maiden Serie A campaign, Baldini’s tactical acumen helped lift Empoli to a respectable 12th place before he switched back to Serie B with Palermo. He hoped to recreate the same magic in 2003/04 by guiding them to the top flight, but despite being 3rd in the table, he fell victim to the impatient nature of the mangia-allenatori, Maurizio Zamparini, with whom he had a rocky relationship. It was the beginning of a downward slope in his managerial career. Spells at Parma and Lecce lasted a combined seven months before he took the vacant job at Catania, where events that transpired stayed with the Tuscan tactician for the rest of his career. It was the first game of the 2007 season and Catania had travelled north to face Baldini’s former club, Parma. Whilst the action on the pitch brought plenty of entertainment, the game finishing 2-2, it was the antics on the sidelines that stole the headlines. Late into the game, Baldini found himself locked in a heated exchange with Crociati boss, Domenico Di Carlo. Both coaches traded insults before Di Carlo turned to walk away. Baldini saw red, broke free from the official attempting to restrain him and kicked Di Carlo in the backside. Players and staff swarmed to calm Baldini who was sent-off for the remainder of the match. Condemned by Catania and criticized by fellow coaches, Baldini was handed a month-long ban. A shock Coppa Italia semi-finals appearance was the sole positive in an underwhelming campaign, summed up by their 18th-placed standing. Baldini didn’t last the season. To this day, he has yet to make amends with Di Carlo. Fast forward seven years and Baldini is back at his old stomping ground, leading Carrarese in Serie C. The big difference? He doesn’t take a salary. This unconventional decision has reignited his passion for coaching by giving him the ultimate piece of mind: answering to no one and with the freedom to leave on his own terms. In his eyes, such serenity cannot be bought. Heading into 2019, Carrarese are in the heat of a tight Girone A promotion race where only six points separate the top seven. Led by two ex-Empoli strikers in top-scorer Francesco Tavano and Massimo Maccarone, both approaching 40, the Tuscan club are dreaming of Serie B once again. Now aged 60 and with a more tranquil spirit, Silvio Baldini’s tactical mind is once again being recognised, while his actions are a lesson that top-tier wages do not equate to happiness. Posted in Gazzetta and tagged Carrarese, Empoli, Silvio Baldini. Bookmark the permalink.